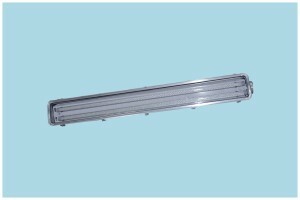 F32T8/850 or F54T5/HO/850 lamps are supplied with the fixture as a standard feature. Fixture housing is constructed of extruded aluminum. End mounting brackets are standard with fixture. Diffuser / Lens is clear.